When you are looking into getting a salt water pool, you might be wondering how it is going to benefit you. It is always wise to weigh the pros and cons of each option that you are thinking about. In this article, we are going to go over the salt water pool benefits you are going to get when you build one of your own. Some people thought that having a salt water pool was a trend but now more people are realizing they are here to stay. Experts say that over 50% of all new in-ground pools are no salt water and more chlorine pools are going to salt water. Before you decide to get one yourself, learn a little more about these pools and their benefits. As long as you plan on keeping your salt water pool for at least three years, you are likely to have a cheaper time taking care of your pool than if you were to go with a chlorine system. If you wanted to change your chlorine pool to a salt water pool, it wouldn’t be as difficult as you might think. Your existing plumbing will have to be adapted to work with the special generator and this can cost around three years worth of chlorine pool chemicals. Even though it is less expensive you should think about the fact that salt can be corrosive to pool fixtures and the interior of the pool over time. You may have to replace things like coping, tile, decking, and ladders. 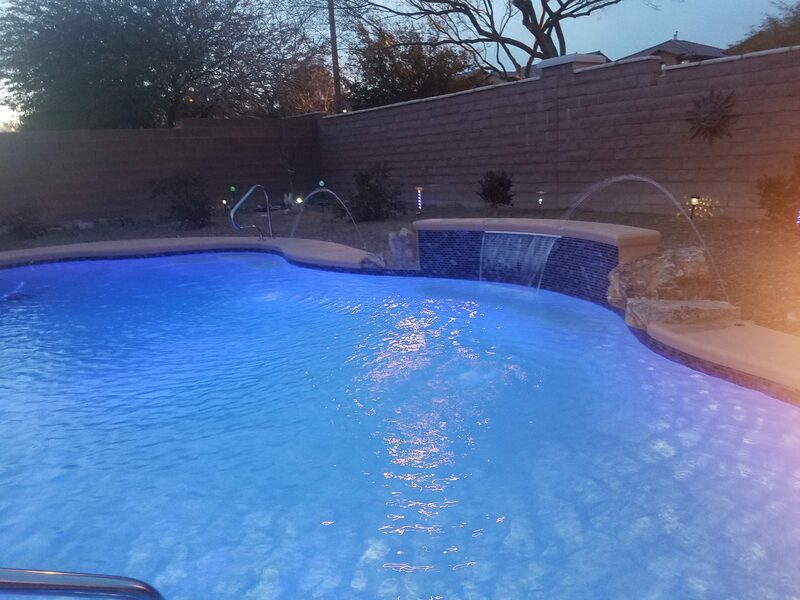 The reason this is the case is that the pool fixtures will oxidize over time when they are exposed to the electrolyzing process that happens in a salt water pool. If you have had to deal with irritation before, you know how frustrating it can be. A salt water pool is lower in disinfectant chlorine and the chlorine is supplied to the water through the generator. To keep things going, you only need to add more of the special salt at the beginning of the season. If you were to have a chlorine system pool, you would have to use more chlorine which would cause you to have more irritation which is no good for any swimmer. The best way to make sure that a salt water pool is the right type of pool for you is to speak with one of our experts. Talk with one of our experts and let them know your swimming habits and what you like to do with your pool. When you do this, you are going to be able to give us the information we need to know to give you the best advice when you are picking out your pool. We have over 30 years of experience working with pools and have helped many people get their new pool. We would love to help you get a new pool as well.